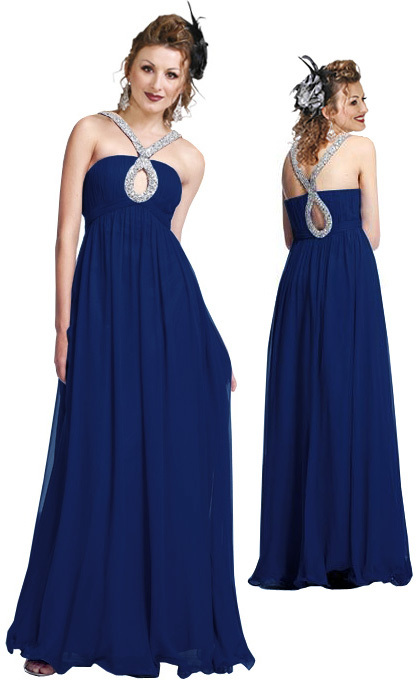 Look classy and elegant in this silver beaded dress with a keyhole. 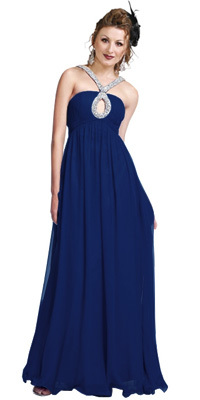 Silver embellishments on the neckline on a blue color dress looks very graceful and sober. The back of the dress has similar patterns. The skirt is A-line and it looks very flowing.